So, is Gayle King getting her coin? She might be a step closer. 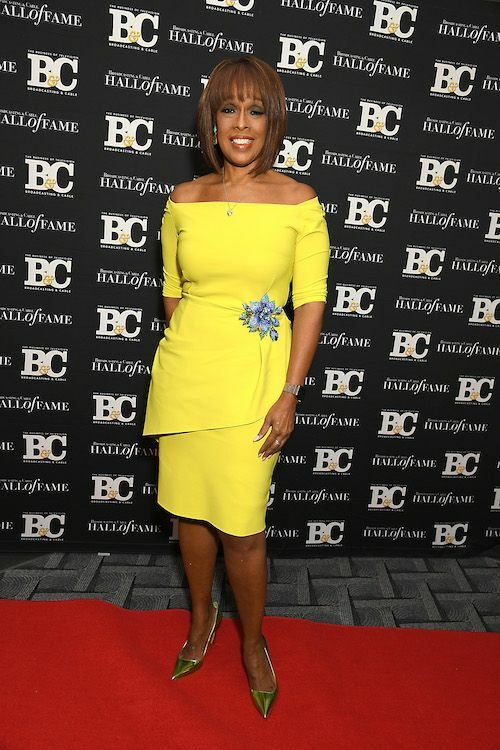 Last week, we told you Gayle King was in the midst of a multi-million dollar re-negotiation with CBS News to stay on “CBS This Morning." And the money talk couldn't have come at a better time being that her R. Kelly interview blew up and broke the Internet. Now, Page Six is reporting she's poised to sign a new multi-million dollar contract to stay at the network. Sources tell the site Gayle - who already has a $5.5 million/year deal - is needed on "CBS This Morning" because ratings are struggling. “Everything has gone very quiet. Nothing will be done until Gayle has signed her contract. It looks likely that she’s staying — but we don’t know what the holdup is," the source spilled. Gayle's co-host Norah O’Donnell's move to replace Jeff Glor on “CBS Evening News” is reportedly being placed on hold until Gayle's deal is signed. Sources spill to The Hollywood Reporter that Gayle and CBS agreed on a contract extension this week, but the deal is not yet consummated. As rumors swirl about Gayle's future at CBS News, a network spokesperson told HuffPost it is “declining to engage in any speculation” over whether the star anchor’s contract will be renewed. If the network keeps Gayle, it would be the first order of business for new CBS News President Susan Zirinsky. Earlier this month, the AP asked Gayle whether she sees herself at CBS News this time next year. Hey! Do you think CBS will run Gayle King all her coins? Directly below, sign in to our VIDEO COMMENTING widget called Yappa. Talk to us, talk to each other, just talk. It's like Facetime for comments. Be amongst the first to get in on this. We'll be talking to you too!